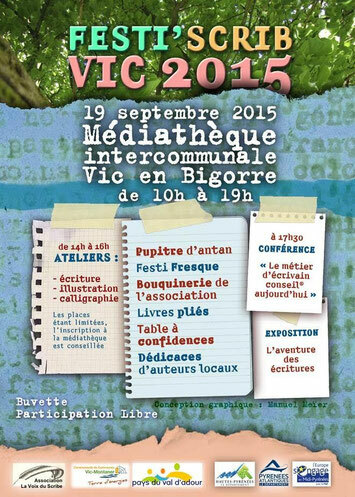 Les inscriptions aux ateliers du samedi 19 septembre après-midi ont commencé ! Pour vous inscrire, il suffit de répondre à ce mail ou de téléphoner au 05 62 43 05 25. De 10H à 19H d’autres stands et ateliers vous ouvrent leurs portes sans inscription préalable. My programmer is trying to persuade me to move to .net from PHP. I have always disliked the idea because of the expenses. But he's tryiong none the less. I've been using WordPress on several websites for about a year and am worried about switching to another platform. I have heard excellent things about blogengine.net. Is there a way I can transfer all my wordpress content into it? Any help would be greatly appreciated! Right here is the perfect web site for anybody who would like to understand this topic. You understand so much its almost hard to argue with you (not that I really would want to�HaHa). You definitely put a fresh spin on a topic that's been written about for many years. Great stuff, just wonderful! I was pretty pleased to uncover this web site. I want to to thank you for your time for this fantastic read!! I definitely enjoyed every bit of it and I have you book marked to look at new things in your site. Greetings from Florida! I'm bored to death at work so I decided to browse your website on my iphone during lunch break. I really like the info you provide here and can't wait to take a look when I get home. I'm shocked at how fast your blog loaded on my phone .. I'm not even using WIFI, just 3G .. Anyhow, superb blog!